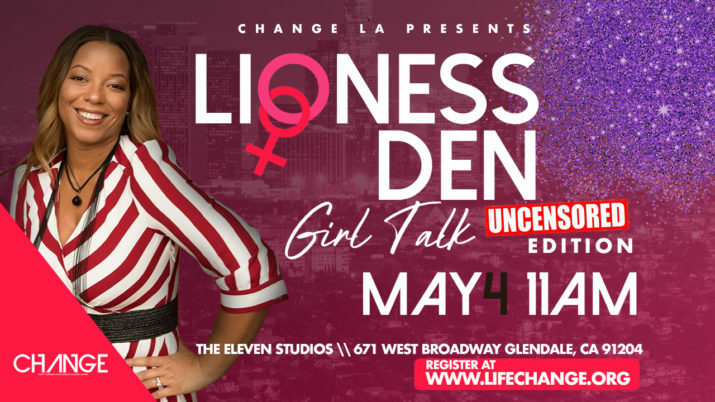 The ladies of Change LA present Lioness Den “Girl Talk”. If you are in the LA area join Shameka Daniels for a time of fellowship and girl talk on Saturday, May 4th at 11am. Lioness Den event is located at the Eleven Studios, 671 West Broadway Glendale, CA 91204. This women’s fellowship is an opportunity to meet other ladies, fellowship and discuss topics that women encounter. Registration is required for this event.